Hearts racing. Eyes dashing across the screen as fast as the people running for safety, both keeping up with them and scanning for potential threats in every corner. Breath caught in that somewhere between chest and throat. Calves tense, ready to spring into action at the first sight of danger. This describes the experience of watching “Hotel Mumbai” in a theater. 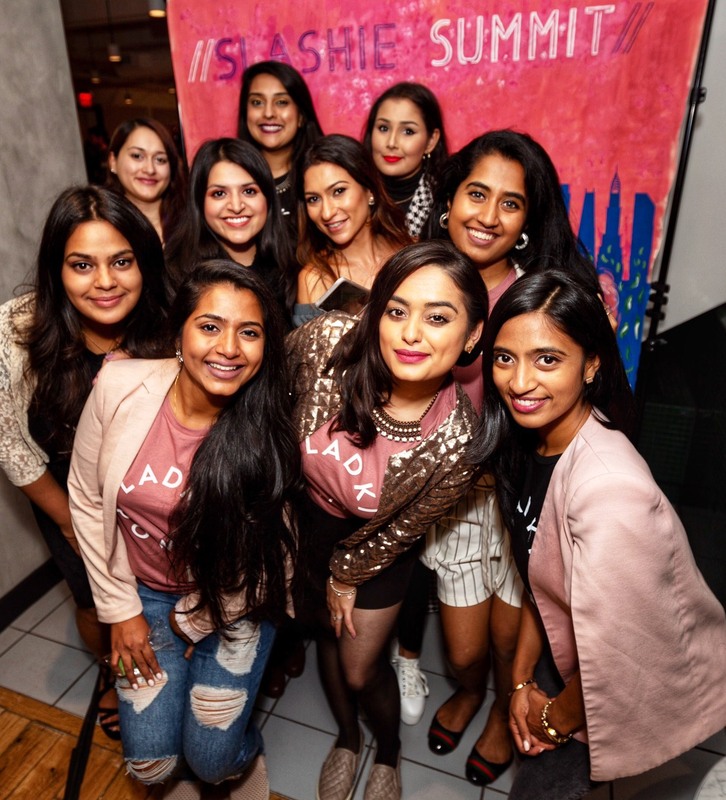 It’s a true testament of the power of film to not just portray fiction or lived experience, but to transport audiences to that time and place, be it on the other side of the world or just across the street, in the year 2008 or 2080. 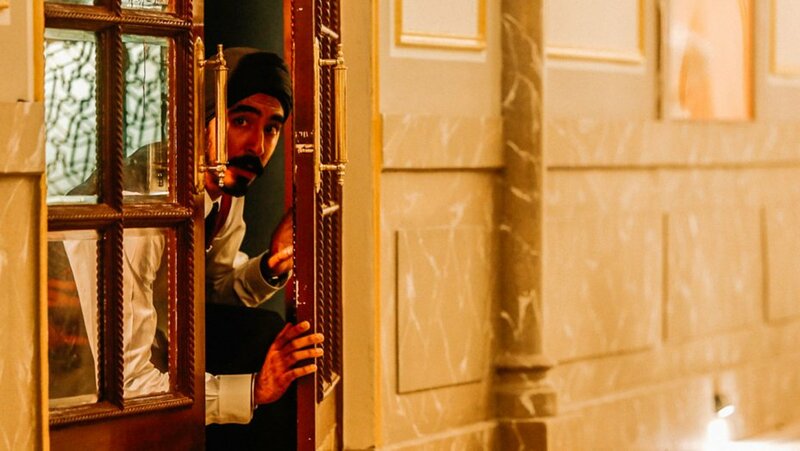 “Hotel Mumbai” tells a story to which almost all of us know the end. Many of us remember the days over which the Mumbai attacks took place. We may even know the major pillars of the plot line. Not for one second does this take away from the absolute thrill and suspense of watching the events unfold before our eyes. Dev Patel plays Arjun, a staff member at the Taj Hotel. Introduced by leaving his house in the morning with his baby in his arms, Arjun is so harried that he does not notice his shoe slip out of his bag, leaving him only the chappals on his feet to finish out his uniform when he arrives at the hotel after leaving the child with his pregnant wife. As Arjun’s supervisor, played by Anupam Kher, dismisses him for improper footwear, Arjun insists on smashing his feet into an extra pair of shoes borrowed from the office that are much too small so he doesn’t lose out on the day’s pay needed to provide for this family. Later, when an old Caucasian lady hiding with him and the rest of the staff asks him to take off his turban because she thinks he is one of the terrorists, he gives her a crash course in Sikhism. Patel plays this family man, dutiful hotel employee, brave, fearless, clever guard to the lives around him, and intellectual ambassador of Indian culture to ignorant western guests, flawlessly. No, literally, this character has no flaws. If you find one, let me know. 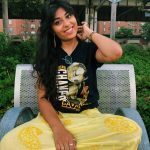 The character veers into cheesy territory at times, but Patel’s earnest portrayal only contributes to your complete restoration of faith in humanity and investment in his survival. He is basically the embodiment of the word imandaar. Nazanin Boniadi plays, Zahra, another pillar of this film that successfully walks the line of being both plot and character driven. She arrives at the hotel as an heiress on something of a honeymoon with her husband, played by Armie Hammer, for which the entire staff is running in all directions and explicitly told not to do the math between the age of her infant and the date of her wedding. Her room is impeccable, her bath is at an exact, specified temperature, and the hotel has reserved a table in her name at a multitude of restaurants so as to not be unprepared for any turn of whim. Knowing where this story goes, these arrangements, Zahra’s carefree demeanor and the heart-eyed looks she and her husband exchange are all tinged with a hollowness of its fleeting nature, but their sureness of their future happiness fills the audience with the same hope. Boniadi plays the versatility of this character’s experience with expertise. Boniadi navigates this role to successfully portray a complicated female character ranging from charming, polite, and composed, to hiding under a table with her husband filled with fear for themselves and their child, to resigned prisoner for her own safety, to victim of xenophobia from her fellow guests for speaking her first language. Often strong, often vulnerable, often clever, and often fearful, Boniadi plays Zahra with subtlety and realism. We know how the story of the Taj Hotel during the Mumbai attacks ends. “Hotel Mumbai” makes it unbearable not to know how the stories of Arjun and Zahra end. 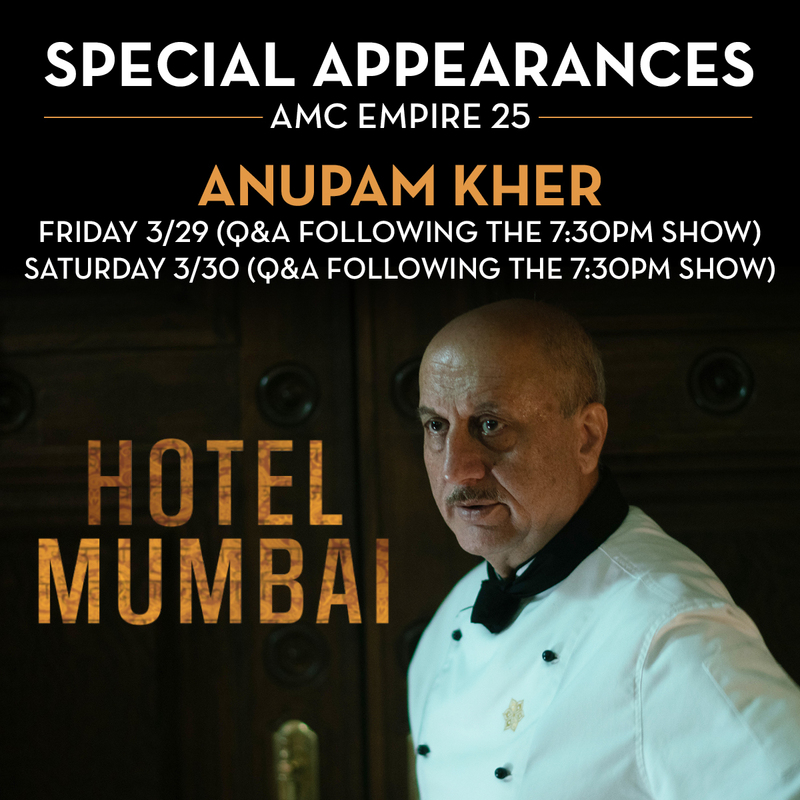 A special treat for those in the New York / Tri-State area: Anupam Kher is back (by popular demand!) for Q&As on Friday, March 29th and Saturday, March 30th after the 7:30 PM shows at AMC Empire 25 in Times Square! Get your tickets for those showtimes here. Previous articlesheplantslove’s Organic Butter is Perfect for Your Body and Hair — Just not Your Toast! Next articleWhat Color Skin did you Want When you Grew Up?